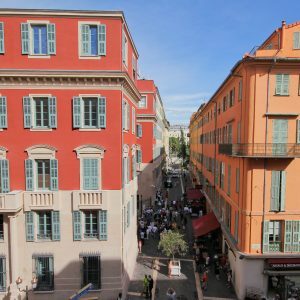 Why buy a property for sale in Nice? Nice is a world famous summer destination, with seven kilometres of beach and over 300 days of sun per year. Unlike other holiday destinations which are all sun and sangria, Nice to combines this with being a chic cosmopolitan city. 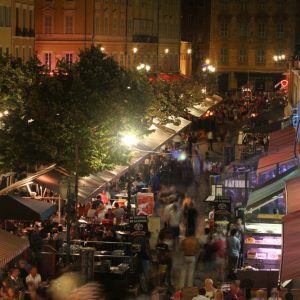 There are events all year around, from carnivals to culture, and the evenings are awash with cafes and gourmet restaurants. It attracts families, couples young and old, and a jet-setting international clientele. Its broad appeal is one of the reasons Nice was one of only two French cities where property prices actually still went up during the financial crisis. 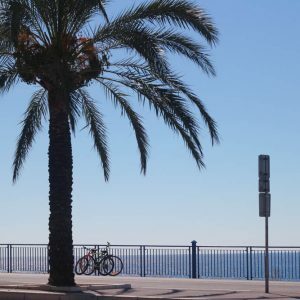 There are two reasons why Nice will always be a safe investment. The first is its geographical location. Nice has an extraordinary local micro-climate. The temperature rarely gets too hot or too cold, with citrus and palm trees a common sight. The mountains behind shelter the city from winds and cold fronts, yet offer some of the best ski slopes in Europe a short drive away. It has France’s second busiest airport, with direct connections to all the major destinations including London, Moscow and New York. With Easyjet offering a dozen flights a day, soon turning Nice into one of its major European hubs, as well as being serviced by many of the other budget airlines, many of Europe’s major cities are easily accessible. Half way between Monaco and Cannes, those wishing to explore will find Provence to the west, the Alps to the north, the Italian Riviera half an hour to the east, and Corsica a boat ride south. It has to be one of the only places in the world where you can have pizza for lunch in Italy, ski in the mountains the afternoon, and share wine in a cosy French restaurant for dinner. It is a mecca for those that want beaches but not boredom. No wonder it is a jewel in the French crown. The second reason is over a billion euros worth of investment over the past decade. Back in the 60s-70s, Nice was seen as the “noisy neighbour” to some of the more glamourous havens such as Cannes and St Tropez. Now some of France’s most ambitious construction projects have come to an end here, the spectacular new look leaves its neighbours looking tired and dated. The new tramway was used as an excuse to pedestrianise much of the centre, and build new piazza and parks. The main streets and squares of the Old Town, as well as the main squares Place Massena and Place Garibaldi, have all been restored. The extensive bus and tram infrastructure will take you anywhere, even as far as Cannes or Monaco, for only €1. And it is not finished yet! The new “Coulis Verte” will be the “Hyde park of the Riviera” stretching from the sea to the National Theatre. Digging has started to build a Metro system underground. The tramway is being extended to the airport. The railway which already goes to Milan east, and Marseille west, will be going directly north from Nice to Paris. Yet despite this radical transformation, property in the new Nice is still up to 20% cheaper than its neighbouring towns. The city offers a wide spectrum of property, from bourgeois to budget, penthouse to pied-a-terre. The area you choose to buy will reflect how you wish to use it. Do you wish to be in the heart of the action, stepping out in the bustling streets to be swept past cafes and galleries? Is the dream a rustic French apartment with high ceilings, where you can sip a glass of rose looking out of the bay windows with the knowledge a five minute walk will see you mingling in designer boutiques and bistrot restaurants? Or must you have a terrace with a sea view no matter what the cost? 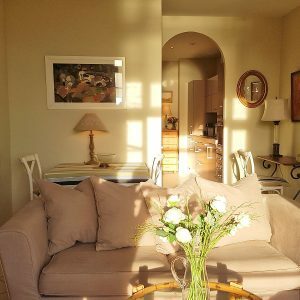 We have property to suit all budgets, and with access to every single property for sale in Nice we will present you the best possible selection upon your arrival. Please read about the different areas below, and then contact us to ask us more questions. One of the oldest areas in the city, the bourgeois residential area of Cimiez is family orientated. Full of parks, museums, and grand old buildings with intricate facades, Cimiez is middle-class suburbia, French style. The north of Nice is where the real Nicois live. From above it looks like a large residential sprawl, underneath it is a close network of self-sufficient communities. Though the locals may love it, the area offers limited investment opportunity. Though the Promenade des Anglais starts from the airport, the 'nice' part begins as you nearly reach Boulevard Gambetta. What exists in between is B-grade property for those that need a sea view but do not want to pay top dollar. Parallel behind lies Avenue Californie, rather run down and lined with mini-marts and pizza parlours. The local University and business school, however, give it potential for cheap purchases for student letting. As you take the tramway from Place Massena, once you go past Place Garibaldi you start heading into East Nice. The east is the most run down and least desirable part.